On the hard days, I collect Bible verses on a paper I’ve ripped out of my journal. I fold that paper up and tote it around everywhere I go. When anxiety hits, I pull my verses right out and finger the edge of the paper nervously as I whisper the God-Words aloud. The aloud part is important; it helps drown out the noisy voice of worry, fear and disbelief in my head. I have shut myself in the bathroom before, shoved my hands over my ears and read those verses aloud over and over until I really didn’t need the paper anymore. They were etched so deep on my heart and mind. I collect more verses everywhere I go, and I scribble them down on that same page like any other greedy collector bidding for treasures at an auction or sifting through junk in a thrift store to find a true prize. Seasons of life change. Sometimes I have a paper in my pocket. Sometimes I don’t. Years ago, I toted that paper around and then I was done. The hard days were past for a while. God had answered my prayer and provided and come through. But then a friend shared her heart. She was struggling and I had just been there myself. So, I copied the verses on my paper and sent them to her so she could carry them around in her own pocket. 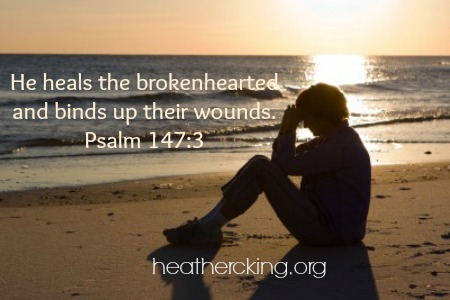 God comforts us so we can comfort others. 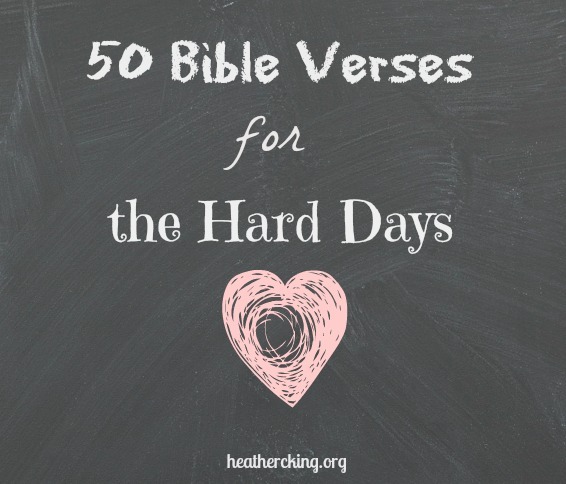 Here are just some of my favorite verses for the hard days, pieces of my collection that I share with you because the truth is, we all have hard days and we all need the reminder of His faithfulness and His love. The Lord your God will fight for you, you need only be still. In you, LORD, I have taken refuge; let me never be put to shame; deliver me in your righteousness. Turn your ear to me, come quickly to my rescue; be my rock of refuge, a strong fortress to save me. Since you are my rock and my fortress, for the sake of your name lead and guide me. Have mercy on me, my God, have mercy on me, for in you I take refuge. I will take refuge in the shadow of your wings until the disaster has passed. I cry out to God Most High, to God, who vindicates me. 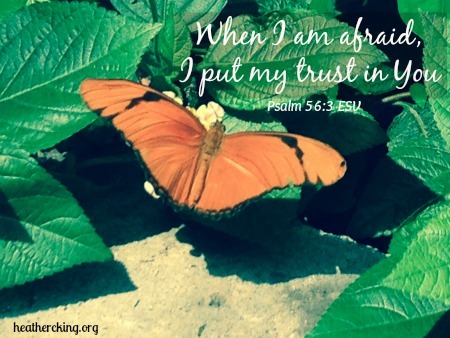 He sends from heaven and saves me, rebuking those who hotly pursue me—God sends forth his love and his faithfulness. I love the LORD, for he heard my voice; he heard my cry for mercy. Because he turned his ear to me, I will call on him as long as I live. The cords of death entangled me, the anguish of the grave came over me; I was overcome by distress and sorrow.Then I called on the name of the LORD:“LORD, save me!” The LORD is gracious and righteous; our God is full of compassion. The LORD protects the unwary; when I was brought low, he saved me. Return to your rest, my soul, for the LORD has be en good to you. For you, LORD, have delivered me from death, my eyes from tears, my feet from stumbling, that I may walk before the LORD in the land of the living. For I know the plans I have for you, declares the Lord, plans for welfare and not for evil, to give you a future and a hope. 12 Then you will call upon me and come and pray to me, and I will hear you. 13 You will seek me and find me, when you seek me with all your heart. And he did rescue us from mortal danger, and he will rescue us again. We have placed our confidence in him, and he will continue to rescue us. Dear daughter, what happened to the 90 pencils I already sent to school?